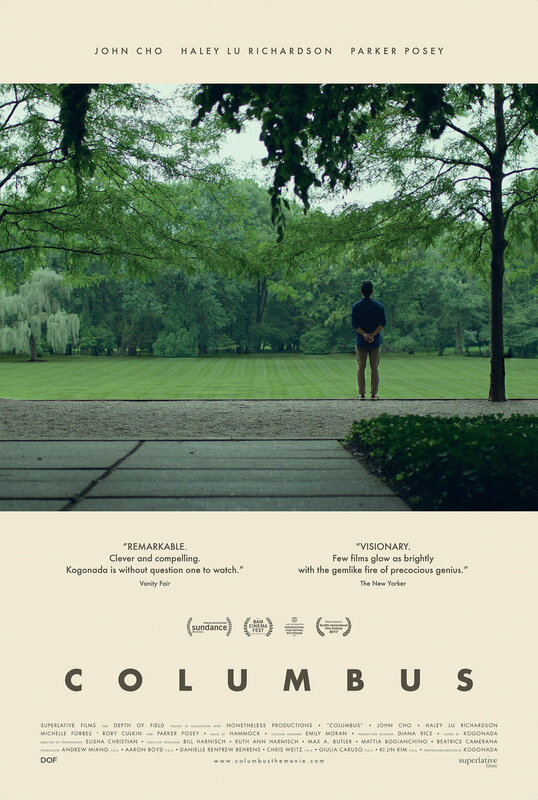 When a renowned architecture scholar falls suddenly ill during a speaking tour, his son Jin (John Cho) finds himself stranded in Columbus, Indiana, a small Midwestern city celebrated for its many significant modernist buildings. Jin strikes up a friendship with Casey (Haley Lu Richardson), a young architecture enthusiast who works at the local library. As their intimacy develops, Jin and Casey explore both the town and their conflicted emotions: Jin's estranged relationship with his father, and Casey's reluctance to leave Columbus and her mother. With its naturalistic rhythms and empathy for the complexities of families, debut director Kogonada's Columbus unfolds as a gently drifting, deeply absorbing conversation. With strong supporting turns from Parker Posey, Rory Culkin and Michelle Forbes, Columbus is also a showcase for its director's striking eye for the way physical space can affect emotions.